These dumplings are flavor packed and perfect, with a li'l explosion of rich and savory broth on the inside! They're the BEST and would be excellent with Cauliflower Fried Rice. And we love that a single serving is the entire package (6 dumplings!). If you only try one thing on this list, make it this frozen find! When we tried these links, we couldn't believe they were meatless. The texture and flavor are so savory and perfect. TJ's really knocked it out of the park with this one! 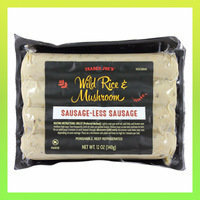 These will be a hit with vegetarians and omnivores alike in your home, just like they were here at Hungryland. And with stats similar to chicken sausage, feel free to use 'em in HG recipes like these! 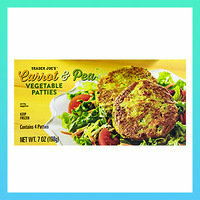 These veggie patties are nothing like veggie-burger patties; they're very much patties made from vegetables. And they're a totally fun and tasty way to eat your veggies! There's also a Cauliflower & Broccoli variety (good too! ), but this version really won us over. 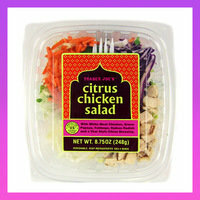 Have one or two as a side dish, or eat a couple wrapped in lettuce leaves as a hearty snack! Every once in a while, as you browse the TJ's shelves, you'll come across something marked "Reduced Guilt." And when we see those words, we pounce! This dip rocks. It takes a page right out of the HG playbook by incorporating Greek yogurt. 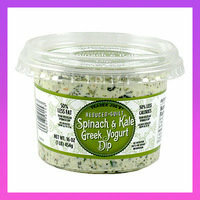 Thanks, TJ's, for making this lightened-up dip so we don't have to DIY all the time! 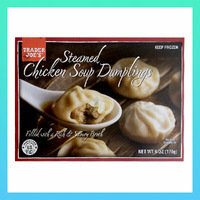 Do you have some Trader Joe's faves that we've yet to report on? Chime in on Facebook, and let us know what we're missing! 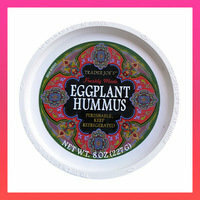 And for more HG finds from TJ's, click here and here. Make sure your pals know all the best goodies! Click "Send to a Friend" now.